Large, 6-8" white flowers with green undulating tips. 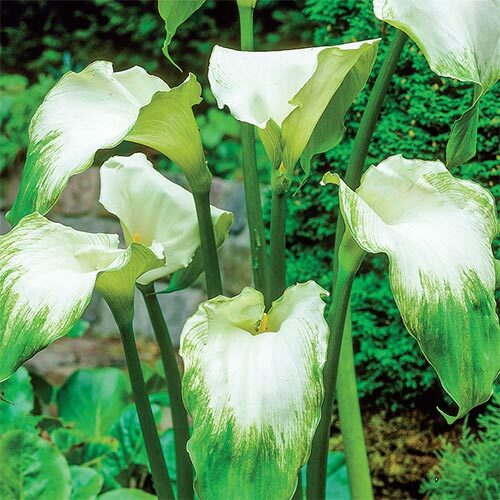 These varieties are the crème de la crème of the calla world. Specially selected for their intense production of flowers, these free-flowering gems will deliver endless color and fragrance all season long. Perfect for beds and borders, these are especially suitable for patio containers due to their highly desirable, free-flowering habit. Average to high water needs. Plants prefer moist conditions.